THE LAST PAGES OF A GREAT BOOK COME ALL TOO QUICKLY. 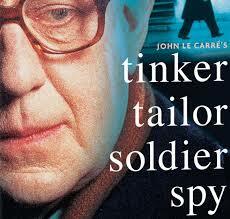 earlier novels, THE SPY WHO CAME IN FROM THE COLD, and TINKER TAILOR SOLDIER SPY; linking them both together to tidy up some loose ends. An aging, retired, white haired Peter Guillam is called for by the inquisitors at Whitehall. The British Secret Service is being haunted by ghosts from its past, and the once-young Peter Guillam will be hauled over the coals. The death of Circus agent Alec Leamus, many years before, is now in question. Leamus had a son who is now looking to be compensated for the murder of his father. Was The Circus at fault? Is Guillam responsible? Whitehall has opened the files and found incriminating evidence against Guillam. Whitehall is looking for a fall guy. For incurable Le Carre addicts like yours truly, the fun now begins. Familiar characters from the past delightfully cascade through the story. 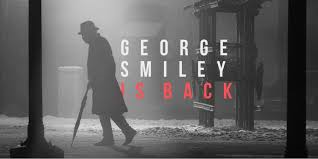 George Smiley is still alive but his whereabouts are unknown. The ill-fated Alec Leamus, Connie Sachs, Control, Control’s man Mendel, arch traitor Bill Haydon, Jim Prideaux, Oliver Lacon, Toby Esterhase, Roy Bland, Millie McCraig, Hans-Dieter Mundt, all deliciously brought back to life. In The Spy Who Came In from the Cold, Circus agents are disappearing, networks are being rolled up, and Alec Leamus is murdered climbing the Berlin Wall. There’s a rotten apple in the Circus, somewhere near the top. We find out, many books later, in Tinker Tailor, that Bill Haydon, very high up indeed, is the soviet mole, buried many years earlier in the Circus, and feeding information to Karla at Moscow Center. But why was Alec Leamus really in Berlin? What was his mission? Who was running him? Control? Smiley? What was Guillam’s involvement? And at the center was the notorious Hans-Dieter Mundt, the head of the Stasi, East Germany’s Secret police – then being run by George Smiley as a double agent. 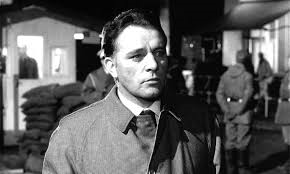 Richard Burton as the ill-fated Alec Leamus in The Spy Who Came in from the Cold. 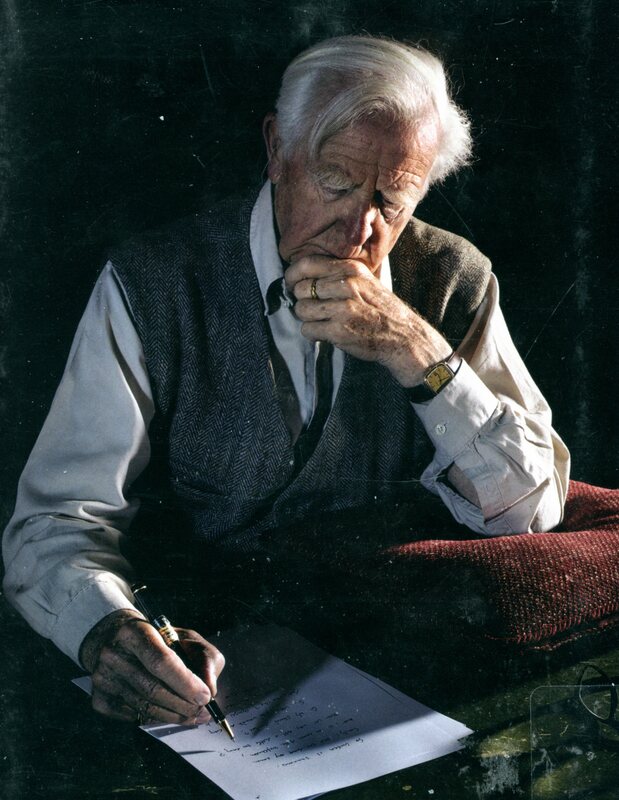 Le Carre, regardless of his age, has not missed a beat, tying two of his best-loved books into a modern mystery, populated by an ensemble of his best-loved and familiar characters. And his prose remains intact, as sharp and flowing as ever. To his fans, A LEGACY OF SPIES seems a fitting conclusion, if that is what it is, to decades of delicious novels. The book seems, in its structure, to be bidding us adieu. I can only hope that the author has second thoughts, and the idea for one more book up his literary sleeve. John Le Carre’s prose is as exciting as ever.